I recently acquired two Sigwalt 10s in Norfolk, U.K. both in poor condition. I presume they were brought over by service personnel attached to one of the bases that used to be in East Anglia. The first roller has seen better days and is a rubber tube on the stock. 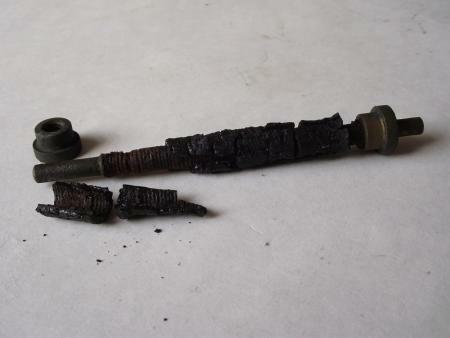 The stock has two outer wire clips in grooves which stop the trucks sliding in and further along covered by the rubber tube are two other wire clips in grooves with pieces of thin cord around them. I am guessing these little rollers were made by sliding rubber tubing onto the stocks. Casting a roller for these little presses would have been too expensive. 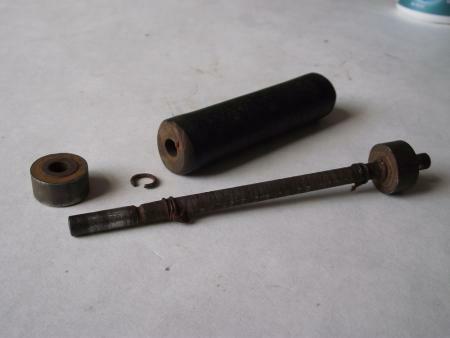 The other roller could possibly have been covered by a previous owner as it has a lot of cord wrapped around the stock and then covered in a hard black material which looks like the crust found on old gelatine rollers. The trucks are two brass knurled nuts. 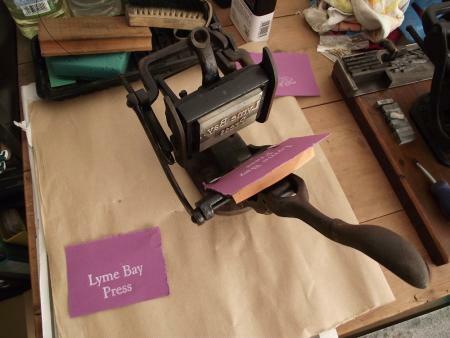 Both presses are usable by leaning on the disk socket to stop them moving and hand inking the forme, they have been tested with both type and 152 photopolymer plate stuck to pieces of hot foil base. A new roller with trucks is expensive so I am enquiring if anybody has had a go at casting their own roller and if so what materials were used. I’m not looking for a perfect roller as I will be hand inking. Hey! I know this post is old but I hope you get this! How did you use the KF 152 polymers on it, as in what did you use as the base? If you don’t mind sharing the material and dimensions for the base I’d love to source one for my self! Thank you so much! I bought a small piece of 20mm Delrin on eBay filling all of the chase. The Delrin with the polymer plate is just under type high so there is a piece of card stuck on the back of the Delrin block. My experiment in making rollers failed, melted Gummy Bears is terrible stuff to get off, so I just hand ink the plates.